The Veterans Affairs and Rehabilitation program promotes our mission to enhance the lives of U.S. veterans, military, and their families. We can assist in activities that help homeless veterans, such as hosting or helping with homeless veterans’ stand downs, assembling hygiene kits and buddy baskets, helping with transitional housing projects, or compiling “blessing bags” to be given to local police or organizations that deal with the homeless veteran population. Nine percent of the homeless veterans today are women. We can support rehabilitation and healing of veterans through arts, crafts, and hobbies, such as contributing donated supplies to veterans centers, hospitals, or homes, organizing a local Creative Arts festival, or donating money towards the National Creative Arts Festival to be held in Des Moines, Iowa, October 29-November 4, 2018. We can help promote job fairs for veterans and their families, by assisting the American Legion or a local Chamber of Commerce in organizing a job fair, or by having an informational booth at a job fair, or by seeking out and encouraging veterans, especially women veterans, to take advantage of these opportunities. We can assist the growing numbers of military caregivers, by supporting the Elizabeth Dole Foundation which helps to identify real problems and funds meaningful solutions to improve quality of life for veterans and their caregivers. Families are often times overwhelmed with 24 hour duties, but by raising awareness and giving solutions, families learn how to adjust or adapt to a new way of life as caregivers. We also need to continue to promote Team Fisher House and the Quilts of Valor Foundation. Team Fisher House is always grateful for any donations of money, food, household supplies, and volunteer time to uphold the quality of care for families needing a place to stay while a loved-one is hospitalized. The Quilts of Valor Foundation has a goal to cover ALL physically or psychologically wounded servicemembers with a freedom quilt, honoring them for their sacrifices. 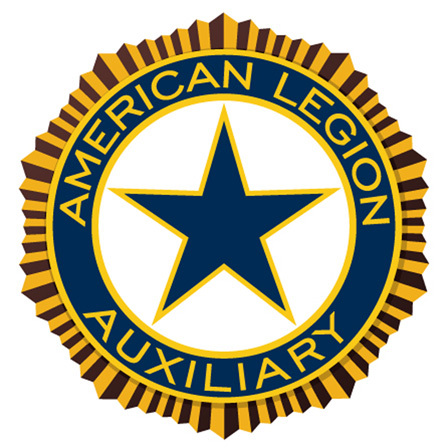 With the 100th Anniversary of the American Legion Auxiliary being celebrated in 2019, I would truly like to see EACH DISTRICT in Illinois make a quilt in red, white, and blue for the Quilt of Valor project or for a veteran in a VA facility. They could be showcased at Patriotic Convention, and then all of them at the State Convention. What a display that could be! Get your needles going, ladies. I’m hoping, with fingers crossed, that I receive reports throughout the year at Unit, District, and Division levels of activities supporting our veterans and military families. Mid-year reports are due to me by December 1st, 2018. Thank you.